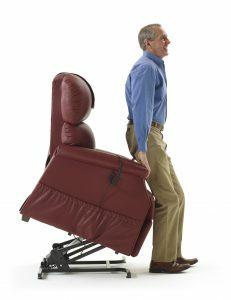 Here at Comfort Mobility, we offer a wide array of lift chairs and power recliners to help ease the standing-to-sitting and sitting-to-standing processes. With 25-30 Lyft Chairs displayed on the Showroom Floor, you will be sure to find the chair that meets your needs. 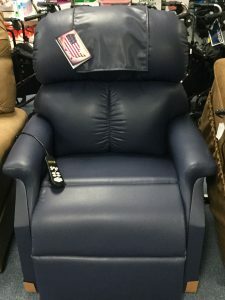 If you are someone with joint and mobility issues, our selection of recliners will provide you with the comfort you deserve when sitting, watching TV and even sleeping. 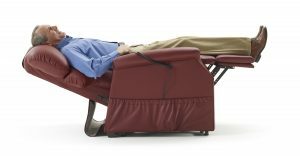 These Golden Tech chairs and recliners offer a full spectrum of features and benefits, all aimed at promoting your health, wellness and overall relaxation. 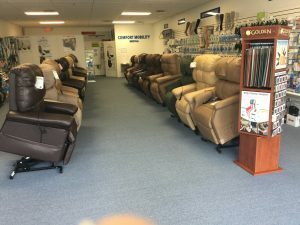 We have the largest inventory of Golden Tech power recliners in the state of Florida because we believe in always providing our customers with the highest-quality products available. TV Watching, Zero Gravity, Sleep, Trendelenburg and more positions all at the touch of a button. Backed by the best warranty in the industry. Smooth, quiet, secure and oh-so comfortable! Every Golden Power Lift Recliner has to pass more than 40 points of inspection. Our large selection of power lift chairs and recliners gives you the chance to shop multiple models to determine which chair is perfect for you, your home and your mobility needs. You will leave our store feeling like you just custom-designed your own power lift chair. At Comfort Mobility, we pay close attention to detail and take each recliner through our own quality control check to make sure that the chair you receive is EXACTLY the one you want! Come visit our showroom on Hagen Ranch Road in Boynton Beach! 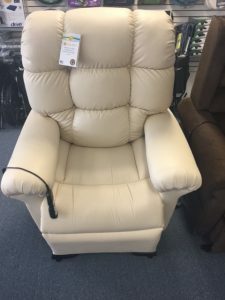 At Comfort Mobility, we proudly offer free white-glove delivery on all lift chairs and power recliners, which means we will unpack, unload and place your lift chair or power recliner anywhere you would like, in your home! We make the process seamless and completely hassle free! We are excited to help you bring the added comfort and mobility of a Golden Tech Power Lift Chair into your home!